Beautiful Studio by Petco Park! Extra-large studio located downtown in the eclectic East Village! all the fine dining and activities downtown has to offer. 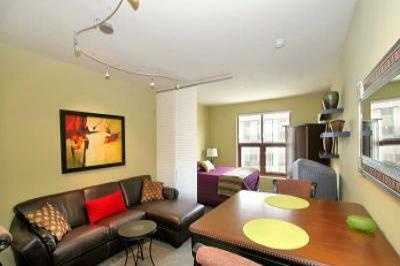 underground garage, wireless internet, gourmet kitchen, and more! Available for vacation rental and corporate stays. Long or short term leases welcome.